On September 15, China launched a Tiangong-2 space lab into space. Listed in the rocket ship’s cargo was Cabernet Sauvignon, Merlot, and Pinot Noir grapevines. Now the world’s second-largest economy and its top wine producer, China is on a quest for the perfect wine. Chinese scientists hope that by cultivating grapevines in outer space, the plant will mutate into vines capable of surviving in harsher climates. Wine consumption in China has been on the rise for years — reaching nearly 132 million cases in 2015. Though close to 80 percent of China’s wine comes from the country’s vineyards, wine sales are low for the nation’s winemakers due to competition from low-cost, higher quality imported wines. 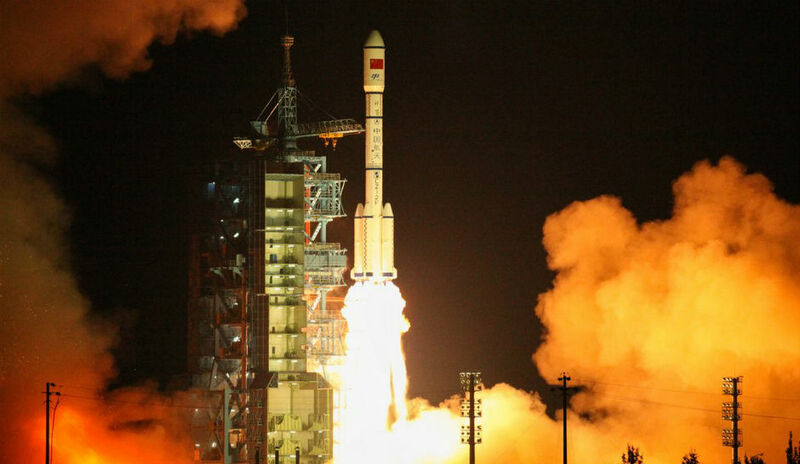 If research on the Chinese space lab grapevines is successful, it might stimulate economic growth in China’s currently unsuitable regions for growing certain grapes. Unfavorable soil and freezing temperatures are two of the most serious challenges faced by China’s wine producers. In places like Ningxia — an impoverished region at the heart of China’s growing wine industry — punishing winters get as cold as -25C, making it extremely difficult to grow grapes for high quality wine. DecanterChina.com, a bilingual website about the local wine industry, reported on this novel approach to growing wine in space. To say the least, China’s space lab work on the grapevines while in orbit is quite unique. Perhaps to some people it might sound a little weird. However, a number of winemakers are recognized for experimenting with cultivating their products in a variety of odd, or strange ways. For example, in Charleston, South Carolina, one winemaker is aging his wine 60 feet below the surface of Charleston Harbor. The wine sits there for months — in a steady 55 degree Fahrenheit (13-degree Celsius) temperature. Europeans have been experimenting with that same concept, as well. Another weird, wine making practice includes the bark of an oak tree and the skull of a sheep or cow. In autumn, the bark of the oak tree is grated into a powder. Then the powder is placed into the skull of a sheep or cow. The skull is stored in a barrel filled with running water and rotted vegetation for a period of six months. During this time, the oak bark goes through the process of fermentation. By the time this wine making process nears completion, the skull will have a foul smell. But after fourteen days of stirring the preparation, an inoffensive, sweet aroma will be the final, satisfying result.